Designing a space is more than just picking the right pieces. You can have the perfect color scheme, accessories, and furniture for your apartment, but if you neglect the wall space, the entire room will feel noticeably off. The walls offer an opportunity to serve as the springboard to your design concept, implementing colors and themes to the space, helping to transform a room from drab to fab! Here are a few tips for making the most of the wall space in your apartment. Be selective in the pieces of artwork you choose to adorn your walls. Find art that can serve as a conversation piece and really pull your overall design together. It’s also important to be conscious of how each piece of art works with others in the same space. If the artwork is serving as a focal point in the room, depending on the size, you can hang it alone on an empty wall or have it function as the centerpiece of a collage. If creating a collage, make sure to add visual interest with varying sizes and images. Not everything on your wall needs to be hanged. If you have books, framed photos or knick-knacks scattered throughout your living space, organize them in a standing bookshelf. Find a shelf that lines up with the height of other focal pieces in your room to maintain balance. You’ll also want to choose a shelf that either matches or complements your existing design scheme. If you’re looking for a simple, yet refined option different from a traditional shelf, consider an open-back shelving option. 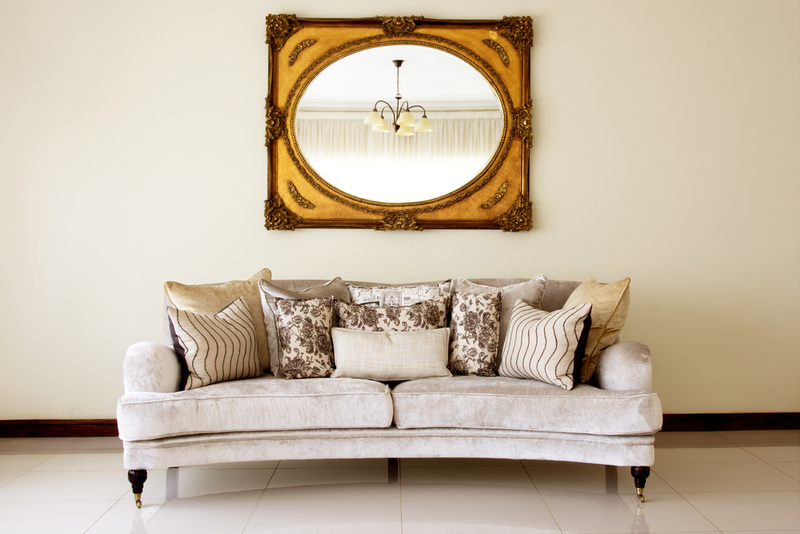 In addition to bringing a stylistic element to a room, mirrors can make a space appear larger than it actually is. If a room is smaller in size, mirrors make the space feel more open. This can be achieved by hanging a mirror on a wall opposite a window. Just be careful not to include too many mirrors in a single room, as this can make a space feel cluttered. Take the time to explore different options to find a style that fits your design and functional needs. Sometimes the best design pieces are the ones no one expects. If there’s a hobby you’re especially passionate about, find ways to bring it into the décor. 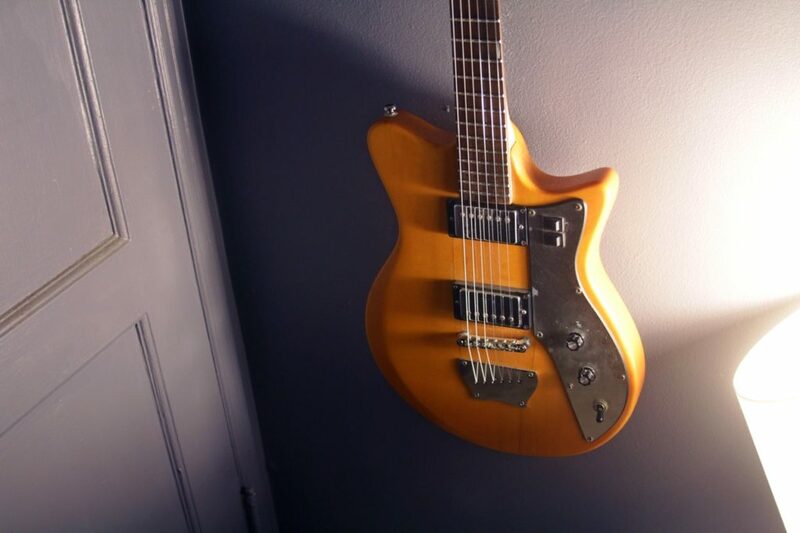 This can be showcasing a favorite memento from your most recent trip or hanging a guitar on the wall opposite your sofa. 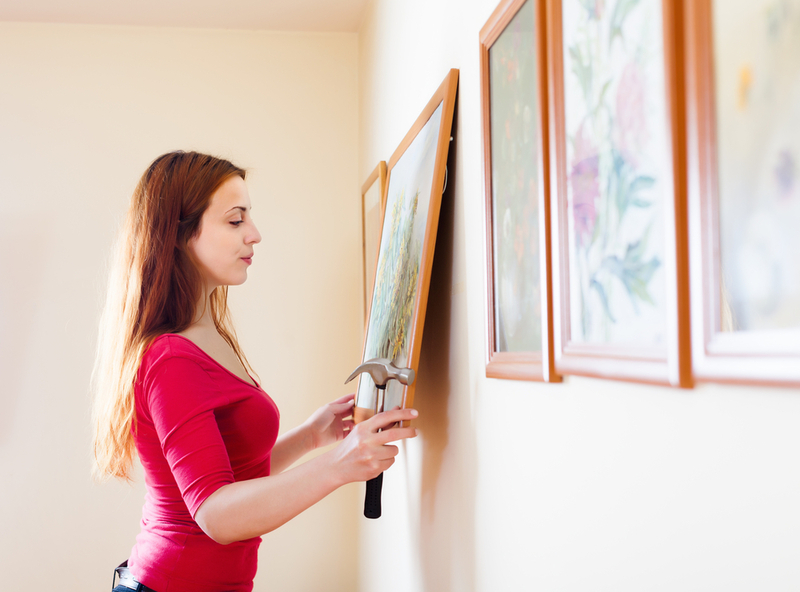 If there’s leftover wall space that could use a final touch, look for that “something different” to add some of your personality to the apartment. Whether you go the traditional route or opt for a more personalized, unique look, there are endless opportunities when it comes to wall décor. 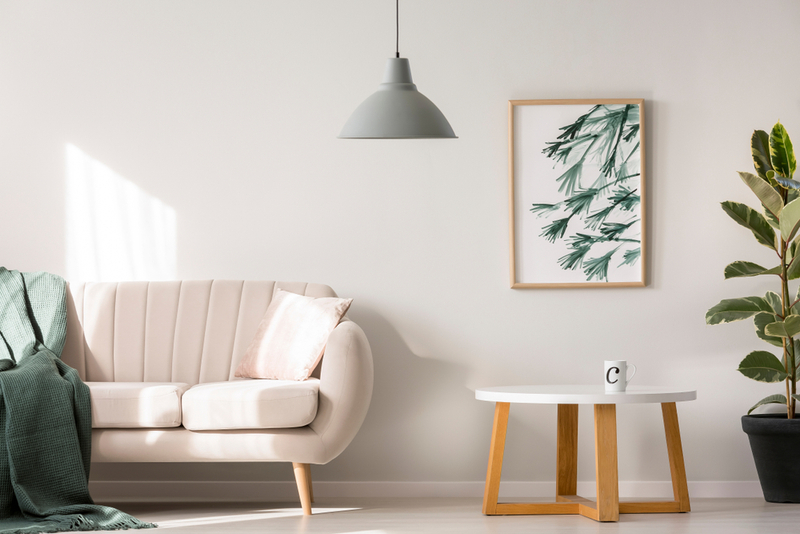 Think about how different elements can add to your vision for the apartment, and you’ll be making the most of your available wall space in no time. Looking for more interior inspiration? Or, perhaps a stylish new apartment to move into? Check out our latest Look Book, a creative collection of stunning Lincoln property features and highlights. Click here to view life inside The Carter in Houston, a sprawling community that offers a 19th-floor penthouse lounge, a boutique lobby bar, and a stunning pool & courtyard all located in the vibrant Montrose neighborhood.